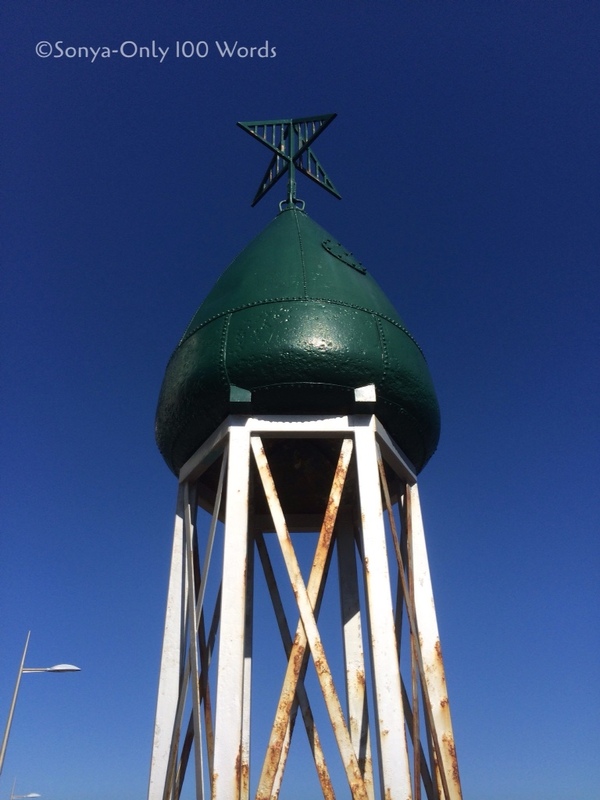 The UFO could be seen on the radar several minutes before loud emergency warnings began going off. The U.S. Heroicans were quickly deployed. Six sickly green aliens immediately stepped from the spaceship. “To find ways to save our planet and inhabitants,” answered the alien leader. Our photo prompt has been provided by Sonya, with the blog, “Only 100 Words.” Thank you Sonya! 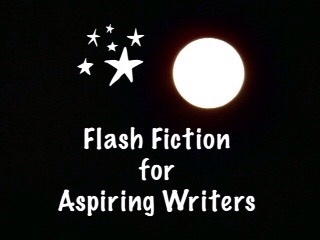 This is my 100 word submission for the challenge, Flash Fiction for Aspiring Writers. We are given a photo prompt and approximately 75-175 words with which we create our stories. It is fun and addicting and everyone is invited to participate. If you would like more information, click HERE. To read all the wonderful stories by creative writers, click on the Blue Frog button below. Thank you Alixa! I liked the idea too. Unfortunately, I can’t help feeling the opposite- probably due to too many “War Of The Worlds” type scenarios. Are they really here to work together? Or try! Yes, absolutely! Thank you for reading! Haha! It’s a disease that is already all over the universe. Earth has already been infected with it. They are going to try and work together to try and radicate it and save their planets. Oooh! Ok, I forgive the aliens. LOL! I am very suspicious of the aliens. LOL! I understand! They are all trying to survive! Those green infectious aliens should be sent away into space again. They should take the “decease” and dump it in space! Love the way you used the red eyes and perspiration pouring. Thanks Scrapydo! Thanks for reading! Same to you to Scrapydo2! Enjoy the rest of 2015 and May you have a Happy New Year 2016! I hope they can lay everything else aside and help each other to find a cure. Once they’re all better, they’ll start attacking each other, presumably (oh cynical me!). I hadn’t thought of that but you are probably right!! YIKES! I like both of their idea to save the planets. We should try our best to take small steps to preserve ours. Wonderful story! Yes, I agree with you. We really should take steps to achieve peace on Earth, stop harming the planet and help one another to survive. Saving the universe by working together. This is definitely alien idea. Hopefully, the virus is destroyed. Interesting story, my dear. It certainly would! Can you imagine what good all that money could do that they currently spend on wars?? Mind boggling. History lesson, the Conferate States of America had bullets in 1865, but four years of fighting in the fields starved them into submission. That’s very sad indeed. I have the original letter that my distant cousin, who was in the Confederate army, wrote to his mother and sister while he was in South Carolina in the war and the letter mentioned how little food they had. They ate mostly sweet potatoes, bacon or fish. They would trade some of their bacon for chicken. They were starving and he stated he was sick with Bulerious (or something like that). Anyway, it was a severe stomach ailment. It’s depressing but that was part of the strategy to spoil, steal, or destroy the bread basket of the South. I love that you have a letter from the war. Personal history makes thing more real. I have a couple stamps, and money. The money was part of an estate. That is wonderful that you have those Civil War items! I feel very fortunate to have a letter written by a family member on the battle field of the Civil War. I want to get the letter restored and have something done to it so it doesn’t age anymore. Do you have any idea what I would do or where I should go? I would try finding someone who preserves or restores books. The letter would probably be wrote on paper much different then today’s more like parchment. And the ink may be made with berries or other natural dyes. If you can’t find that try an autograph collection website. Many people collect autographs, so maybe an online store would have ideas. I have sent coins to be graded and sealed in containers, it seems like autographs would be similar. I can remember reading about Poke Berries and squid ink being used in the early years of the western movement. So God knows what ink, let alone if bark, hay, or grass could be add to the paper stock. That might be as interesting as the letter itself. That really is interesting. I would have never thought about the ink they used back then. We don’t have to think about kind of stuff today. That’s why I like history. The simplest things are interesting and the big stuff is overrated. Oh, and I believe it was 1865 that he was killed in Gettysburg. Is that the year they had that terrible battle in Gettysburg? He was killed on July 1 and it was definitely at Gettysburg. That is a lot of casualties! My cousin, James Henry Tripp was among them. Nearly every family felt the lose of at least one. It’s crazy to think but the ideals that the Confederacy stood for still can be in he Tea Party movement. Save the slavery part of course. It was a serious crisis that was pasted down forty years before the war came. I just looked it up and it was 1863. He must have been killed on the first day of battle. Thank you Michael! Happy New Year to you too! Funny how everyone can work together when their lives are on the line, isn’t it? Great story! I enjoyed this post. The idea of the green thing as some sort of a space ship is intrigueing. What is more, it is interesting to have aliens suffering from a disease, like the plagues etc. which have struck humanity. Are we going to be able to help these aliens or will their disease spread to humans too and indeed be all over the Galaxy. Great post PJ, it raises a lot of questions. The disease is already all over the galaxy. The aliens came to Earth to get help but Earthlings were infected with it too. They are going to try to all work together to eradicate the illness and save both planets. I hope they do. Or that ‘s pretty much it for the Universe. LOL! Who are the Avengers? I have heard of them but don’t really know who they are. Is it a television cartoon? I wanted to ask you – how many children do you have and what are their ages? Do you mind telling me? 8 & 9. Two’s a crowd. Any more my house will be turned upside down, though it isn’t any better now. LOL! 😂 What about you? Aww, those are cute ages! I understand what you mean though about 2 kids being plenty. I myself have 2 children. They are both grown and have children of their own. Haha! Are you anxious to have an empty nest? :D:D Believe me, I really missed my children when they left the nest! How many children did your mother have? Maybe that is why. LOL! Oh no! Do you feel like an orphan? I think it is absolutely wonderful that you have overcome your past and stood up to be a mother to your children that your mother was unable to be to you. I really do admire you for that! I sincerely mean it, and you are welcome! aliens are depicted as sour characters — it is truly an engaging opportunity to see them helping and in a different stand. this is a lovely craft! thank you. Thank you very much Matthew!! Nice team work (we hope). Nice optimistic story and we need these! Yes, nice optimistic (sort of) story and it’s refreshing to read optimistic stories! Thank you for reading Graham! Wonderful story, Joy! This could be very real one day and shows the need of everyone…including aliens, etc. that we are unaware of , to band together and make a safer and more enjoyable existence for everyone to live. We are always afraid of the unknown, but have to consider the known as well and strive to always make things better. That’s not to say, we should jump right in and immediately act, but rather, stay on our guard and proceed with caution! Yes, Jessie, I completely agree with you! We all need to work together to make Earth (and other planets, if that time comes) better places without war, poverty, and crime. Well….just….bummer ! A universe wide sickness???? We can’t be having that now can we??? You always write such interesting and different pieces from these prompts and I love that! Thank you Lynn! I appreciate that comment! I love your take on these prompts they are always very different and creative! Evil and disease all over the universe…. Is all hope gone? It was until they decided to all work together to eradicate it. uh oh…that sounds like pink eye. thanks for mentioning roger’s challenge. I’ll try to get over there this week end. Very true Louise! I hope so too! Thanks for reading! Wow, Aliens and humans working together, thats a first! I love the idea of it. LOL! It’s amazing how people can work together for the good when it is a question of survival. 🙂 Thank you for reading and commenting!